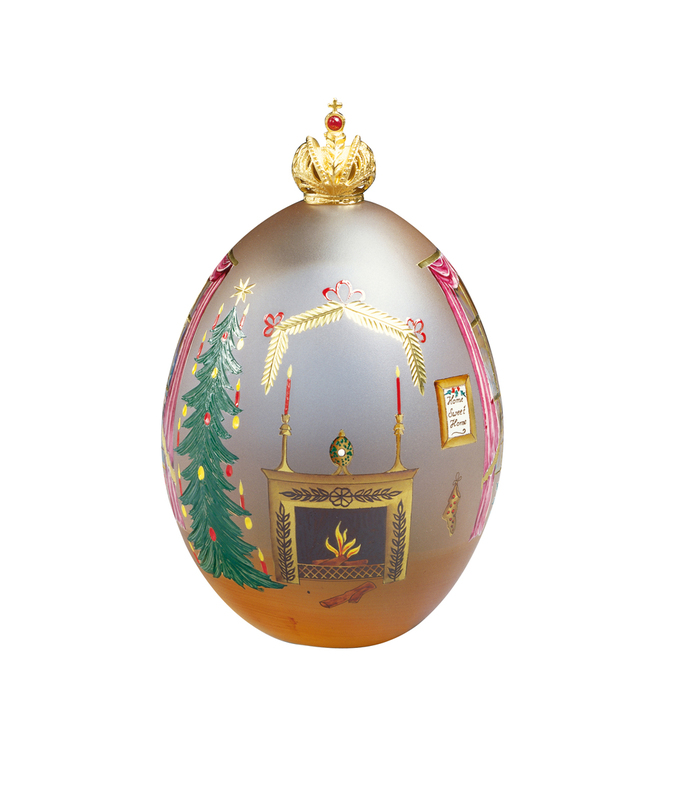 The hand painted crystal Egg depicts the warmth and comfort of a brilliantly decorated seasonal room and looks through the windows at a bright crisp winter's day. The Yuletide Egg creates the pleasure and excitement of family and friends gathering together to enjoy the spirit of the season by the glowing log fire. Yuletide brings childhood memories of the happiness and joy of the past and the coming together for this present and future celebration. 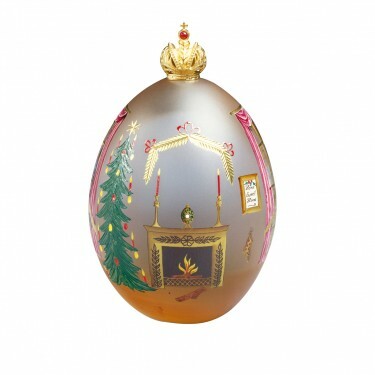 The Imperial Russian Crown inset with a cabochon ruby surmounts this festive Egg. Materials: Crystal, sterling silver, 24 carat gold and enamel.